UNCG MFA alum, Vince Gonzalez has recently had the opportunity to work with the prestigious NYC Ballet on an exciting film ” NY Export: Opus Jazz .” This film takes legendary Director/Choreographer Jerome Robbins’ (West Side Story, King and I, Fiddler on the Roof…) stage production about disaffected urban youth off the stage and on to the dark, alluring, and vibrant streets of New York City. With an evocative soundtrack, the film mixes elements of jazz, ballet, and ballroom dancing with Latin, and African rhythms to create a powerfully expressive visual experience. The film, fresh from it’s premiere at the prestigious South By Southwest Film Festival will screen nationwide this Wednesday night 3/24 @8P during Great Performances: Dance in America on PBS. at the Weatherspoon Art Museum on Thursday, March 18th, 2010 at 6:30p.m. 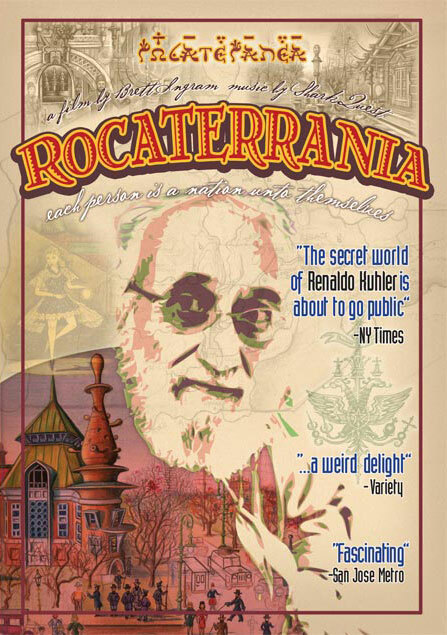 Rocaterrania is a feature length documentary exploring the secret world of scientific illustrator and visionary artist Renaldo Kuhler. In the last four decades, seventy-six-year-old Renaldo Kuhler has created hundreds of plates for the North Carolina Museum of Natural Sciences, illustrating diverse flora and fauna for obscure scientific journals and reference books. Before the making of this documentary, no one knew that Kuhler is also a prolific visionary artist.